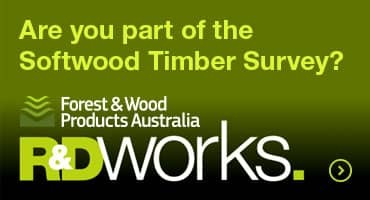 This program aims to promote the benefits of using forest and wood products, both direct to consumers and to specifiers in the design and build industry. As part of this program, we deliver a number of industry initiatives including the Wood. Naturally Better.™ campaign and partner program, the ForestLearning website and resources for teachers, as well as the world’s most-visited timber website WoodSolutions. Another key component is communicating with and engaging regulators, standards bodies, opinion leaders and specifiers. FWPA focuses on benefits such as carbon storage, low embodied energy, renewability, reuse and the sustainability of the forest resource, as well as new applications and services over alternatives, in both existing and emerging markets.